Requirements for lease: On or Off-Site Lease. Must be advanced rider currently jumping 2' courses. Sophie is an super fun ride for either ring. She is incredibly handy, has her changes when asked, and is a confident ride. 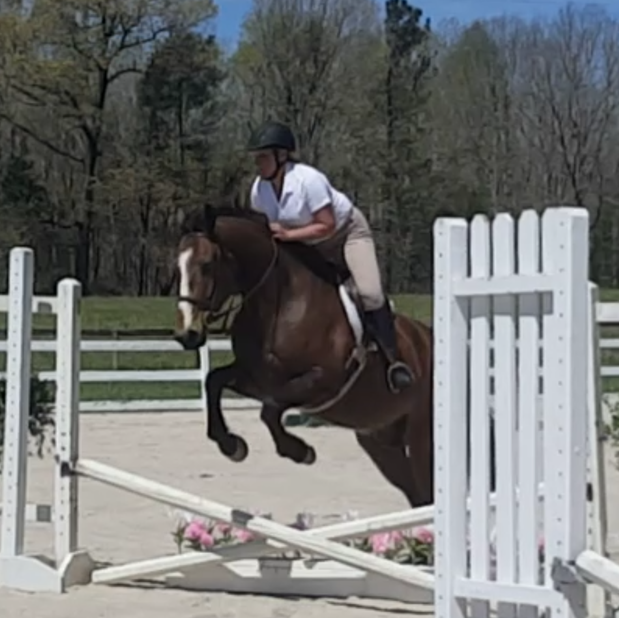 Sophie can do the bigger fences and will be able to compete in the 2'9+ divisions this season. She is available for this season for on-site lease only. Madeline is an 8yo small pony. She has been shown in the hunters and packs around 2 ft with true auto changes. She is not a spooky, is super brave over fences, and has a sweet /loving personality. She is not for a beginner rider unless doing leadline, as she does have a motor. She is best suited for an intermediate rider and up. She is available for off-site lease or sale. Requirements for lease: On of of site. Riders must be able to w/t/c and jump crossrails. Bosley is a 6yo 16hh Qh x. He has local show milege in both the hunter and jumper rings. 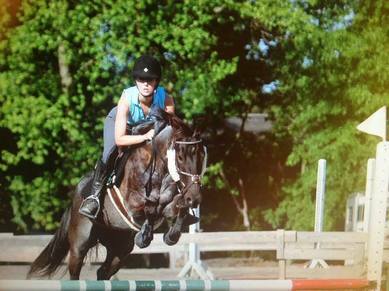 He is super easy to jump with a naturally relaxed pace and has his changes as well. Easy short stirrup-3ft. Atlas is an older pony gelding with a wealth of knowledge in both rings. He is for the most part a push type ride with auto changes and brave over fences. Atlas usually places in the top 3 in the hunter ring and can blow the competition away while keeping the rails up in jumpers . An amazing personality as well. ​For the rider who wants to be able to show but cant commit to a lease. This fee is charged per show for students who do not lease. Horse will not be used in our program and will be available solely lessor.